My Blog has been listed as a Resource for Voice Over Talent on Voices.com. 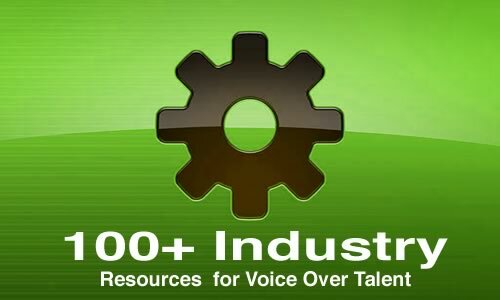 Voices.com yet again assisted the VO Community with a wealth of knowledge by publishing 100+ Industry Resources for Voice Over Talent. This is an enormous help to the industry. It would be like taking everyone’s messy bookmarks relating to Voice Over, excluding the waste and cleaning it up to where it’s easy to navigate and provides info at a glance. With all that information, it seems unnecessary to add to it. But since these sites have proven their value to me in business, perhaps they can be a new resource for some of you. This website is a site of links to anything that a person running a business may need. Like Voices.com, CEOExpress.com created a beautifully organized list in a category specific format. You can link to Legal Issues, Business forms, Trends, Periodicals, Marketing help, SOHO, etc. Since I am incredibly cheap, Fatwallet is a resource I use to save some Scratch! This site talks about deals, financing issues,links to special finds and also has a “cash back” feature that sweetens the pot! Hot Deals » King of the forums! Hottest deals, coupons and offers. Expired Deals »Dead deals…but comments and follow-up still welcome. Travel Deals »Hotels, flights, cruises, rentals, and more. Online Auctions »Strategize online auction issues. One Time Use Coupons »Share (or beg for) “OTU” coupons. Free Stuff »Absolutely free stuff. Product Reviews »Here’s your chance! Share your product experiences. Deal Discussion »Discuss deals not currently hot, or ask a deal-related question. Rebate Tracking »Share rebate experiences with community. Finance »Often-cited source of investing and borrowing information. Contests & Sweepstakes »Find a Contest? Share it with FatWallet friends! Off Topic »If it doesn’t fit elsewhere, and it’s fit for general audiences…drop it in! Testing 1 2 3 »Create your Frankenpost here! Try posting/new techniques. FatWallet »Questions, comments and suggestions about our site. Be nice! And, let’s not forget about SaVoa! Thanks to the crew at Voices.com for all of their hard work! I want to thank Stephanie Ciccarelli especially for her continued hard work, effort and continued contributions to the Voice Community! How about an Exclusive Interview with Lead Voice Actor from Witchblade – Jamie Marchi?